Steve Ellis first began singing in a band at the age of 15. The band were called Soul Survivors, initially gate crashing weddings, youth clubs and barmitzva's in north London on the pretence that they were booked to perform. When the band improved substantially they began to play venues such as The Marquee, The Flamingo, Tiles and Mod clubs in Brighton, Clacton and Soul clubs in Manchester, Stoke etc. After the bands first release on Decca Records, they moved on to CBS and became one of the most successful British pop acts of the late '60s, under their new name "Love Affair", and had a string of hit records. The music was inaudible due to the Beatle-mania like mayhem that ensued and was never repeated until a decade later when the Bay City Rollers found success. In autumn 1969, Steve Ellis walked out of Love Affair to re-think his musical direction. CBS retained him as a solo artist and his future looked decidedly rosy. Without him, Love Affair floundered, while Steve seemed to have the world at his feet. But it didn't work out that way. But a brave fight to regain his mobility led him back to music in the early '90s, and for the next 10 years, he toured as Steve Ellis' Love Affair, belting out a mixture of the band's old hits and newer material to an audience of nostalgists and younger converts. He's also plugged in to the enduring Mod scene, organising and performing at the Small Faces Convention at the Ruskin, East London as a tribute to the late Steve Marriott and Ronnie Lane. The upshot of this was sell-out concerts at The Astoria and The Royal Albert Hall, with proceeds going to Ronnie Lane's sons after their house in Wales burnt down. Both shows included all star guests paying tribute to Marriott and Lane. "A Mod is for life, not just for Christmas", he laughs. In 1971, Steve found a new manager. "I bumped into (ex-Animal and Hendrix/Slade manager) Chas Chandler in a nightclub and we got chatting. He made the right noises. I stayed with Chas for a couple of singles, including 'Take Your Love'. Then I did 'Hold On' with Howie Casey and his big brass section, Johnny Steele from the Animals on drums, little Jimmy McCulloch on guitar, Zoot Money on piano and a Canadian band, Eggs Over Easy, who were touring over here with Loudon Wainwright. That was a bloody good band. We did a few gigs." 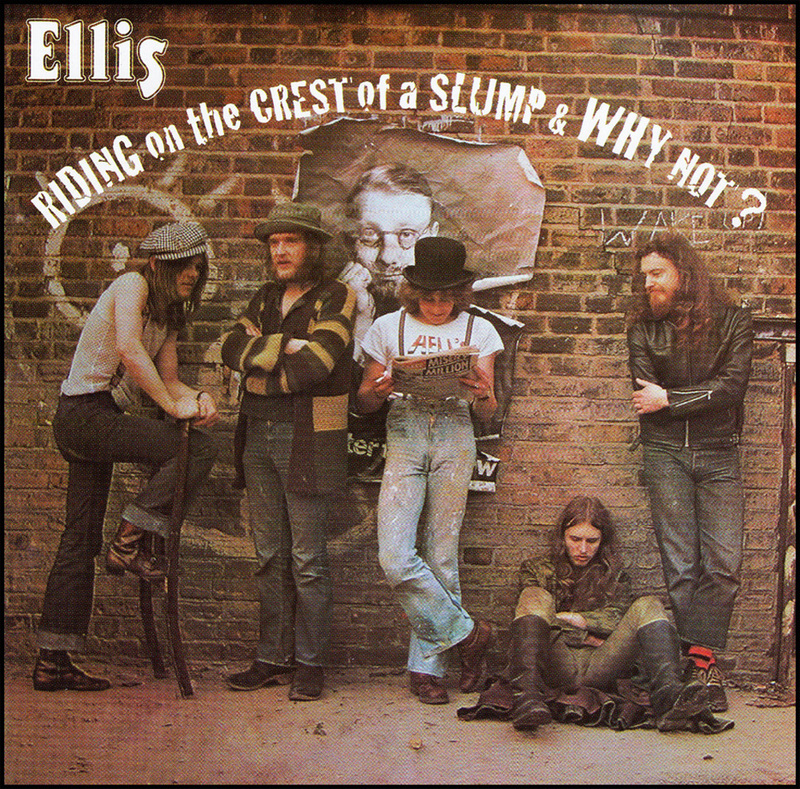 The following year, Steve assembled a new band - billed simply as Ellis or, later, the Ellis Group. "That was Zoot and two bass players - Jim Leverton (Fat Mattress), who ended up with Steve Marriott, then Nick South (ex-Vinegar Joe/Alexis Korner). We also had a German guitarist, Andy Grober, alias Andy Gee (ex-Springfield Park) and Davie Lutton (drums) from Eire Apparent. "Zoot's great. He's a complete character, a great keyboard player and a good singer, too. Working with him was brilliant. That was one seriously good band, if a bit way out - Zoot with his jazzy influence. It was a meeting of everything, really." 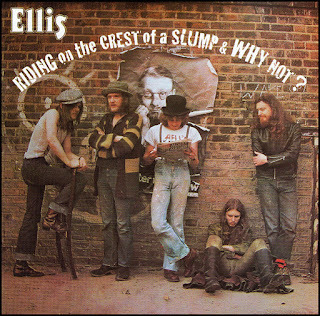 "Riding On The Crest Of A Slump", Ellis's first album, was produced by the Who's Roger Daltrey: "He's a good lad. I lived next door to him near Heathfield, Sussex in a spare cottage of his for three years to get out of London. I got people like Maggie Bell from Stone The Crows, Mike Patto and Roger Chapman and we'd rehearse there. I think Roger regretted it, because we made a lot of bloody noise. He was moaning. He done a good job, though. We had Glyn Johns come in, the Stones' producer. Say what you like, mate! The whole album had a good feel." Daltrey's role was taken by Mike Vernon for Ellis's second LP, "Why Not?" (1973). "That's got three/four good tracks but the rest didn't work out. We did a blues, which is unbelievable - about eight minutes long. Mike's very business-like. I knew him in the early days and thought he'd be good to work with. But he was matter-of-fact, very formal - 'right, time to go'. Bad chemistry. We didn't seem to get the backing from CBS we thought we deserved. I wrote this single, 'El Doomo', and the head of CBS was going to sue the charts because it got to No. 50 in 1974 and didn't budge for three weeks."